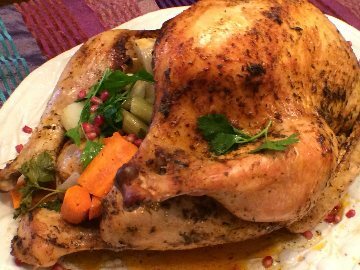 I am not going to give you a lesson on Thanksgiving with this blog but I do want to remind folks that Judaism and Thanksgiving are related. So just a short history lesson before we get to food. Believe it or not Sukkot – our harvest festival – might be the basis for Thanksgiving. The Pilgrims saw themselves as the New Israelites escaping religious persecution in England, their "Egypt," and creating a new home for themselves in America, their "Israel." Sukkot marks the time when the Israelites wandered in the desert – on their way to Canaan after escaping slavery. The Pilgrims could have very well seen their story reflected in the holiday of Sukkot. When they achieved a successful harvest, they perhaps looked at their Bibles (Deuteronomy 16:13-15) and learned that Sukkot is a harvest festival. Some of you know me as a wannabe Sephardic historian. In New York City, Congregation Shearith Israel held a Thanksgiving celebration the first year when George Washington declared Thanksgiving a holiday. The congregation minister, Gershom Mendes Seixas, embraced the occasion and said Jews should “support that government which is founded upon the strictest principles of equal liberty and justice." Early Jewish congregations followed suit. Jews during the time period played a significant role in the formation of our nation. They were equal citizens in the United States. This was not true of Jews in any country in Europe or in the Muslim world. American Jews were the first in the history of the Diaspora to be citizens on an equal footing with their non-Jewish neighbors, and to have actually participated in fighting for the independence of a new nation (Marc Angel). So I offer some Thanksgiving favorites for you and your family to enjoy. First up is my Moist Beer Turkey. The beer infuses the turkey so that each bite is succulent, soft and chewy. The turkey is topped with a Cranberry Orchard Salad sweetened by orange wedges. 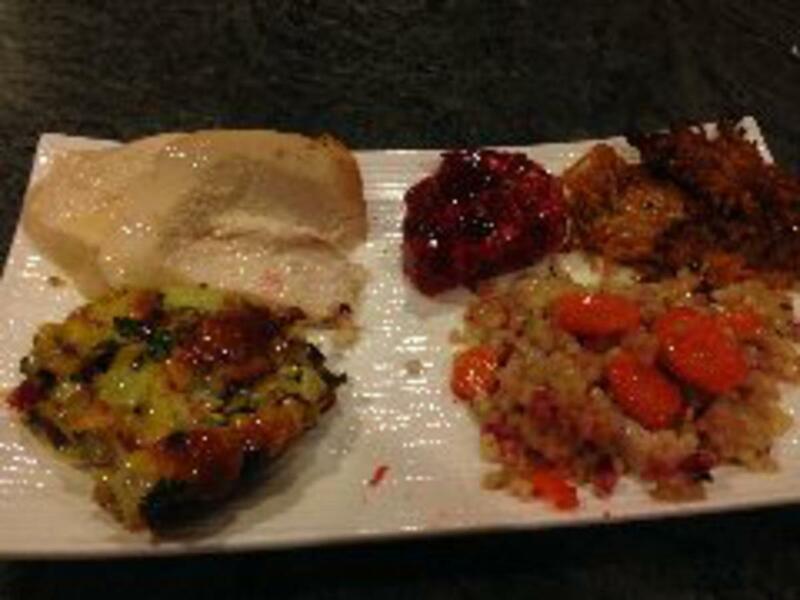 My Challah Chestnut Stuffing merges the flavors of late fall with leftover challah. 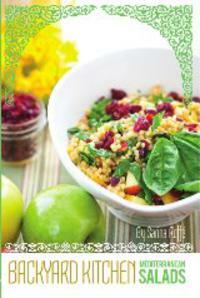 We combine seasonal apples and cranberries into couscous. 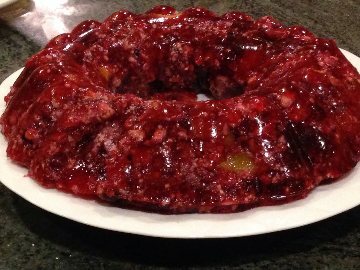 For dessert, my slab pie can be filled with any fruit filling.